Brush head is black and Brush head can be replaced. Toilet brush and plunger set stores near the toilet in an all which makes for a convenient storage option for the restroom Toilet brush set design for convenient, clean and sanitary Can help you more effectively to achieve the best cleaning Material:ABS Size:14cmx39cm x 14cm/5.51 inch x 15.35 inch x 5. Garden Fencing & Borders. Ideal for replacing your old brush. Kitchen Essentials. 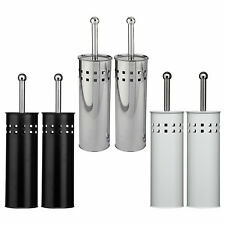 Kitchen Disposables. Kitchen Miscellaneous. Kitchen Appliances. Kitchen Textiles. Tile Tools. Made from ceramic with a high gloss finish, these toilet brushes bring a modern, contemporary twist on nautical style to any bathroom. Toilet Brush and Holder Set. Efficient cleaning: Specially designed crescent-shaped brush head easily reaches hard-to-clean areas around the rim. Do we make a profit?. - Yes, of course we do. than fair with our pricing and pass on our great savings to you. Flex is a revolutionary toilet brush designed to solve all these problems. 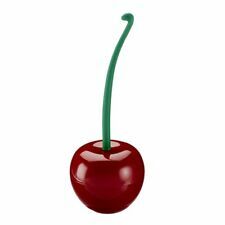 It features a flexible, D-shaped head that reaches all areas, even under the rim. It has widely spaced bristles that prevent dirt clogging, allow liquid to drain quickly and are more durable than conventional-style bristles. Is it ideal to place in the bathroom of any dog lover. Toilet Brush & Holder. Toilet brush & holder. Novelty white ceramic Bulldog shape. Novelty Bulldog shape design. We aim to resolve any problem as quickly as possible. The formula works to maintain a constantly fresh and hygienic toilet. The essential oils and the Lavander and Sage fragrance notes help your toilet feeling fresher for longer, even in between cleans. Square toilet brush Made from bamboo. luxury look. Ideal for your gothic bathroom decor. Brush with Death 16.4cm toilet brush holder Skull. Function: Toilet Brushes Holder with brush. Material: Resin. Weight: 0.8500 Kg. No invoice or other order information will be enclosed. Pumice Shapes to Curved Surfaces. 100% Natural Pumice, Even Safe on Porcelain. Remove Toilet Rings Easily. The Wine Bottle Toilet Brush is made from an ABS resin body, with polypropylene brush and aluminium cap. Ceramic toilet brush set, featuring a French Boudoir design. Cream French Boudoir design. Ceramic Toilet Brush. 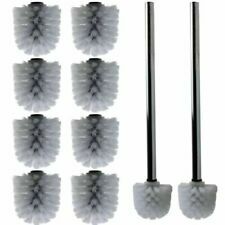 Toilet brush set. Ceramic holder. We aim to resolve any problem as quickly as possible. Splash all you want: our toilet brush is made of corrosion resistant material, so it's ideal for bathroom use. Corrosion resistant - ideal for the bathroom or toilet. Plus it's very discreet: the holder covers the brush. Made from ceramic with a high gloss finish, the bold light blue and white stripes of these toilet brushes brings classic nautical styling to any bathroom. 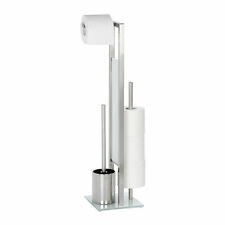 Toilet Brush and Holder Set from Harbour Housewares. Seit 2006 handeln wir mit schönen & praktischen Produkten für das schönere Zuhause. • Material: Keramik / Edelstahl matt. • Farbe: schwarz matt mit Streifen. • sehr gute Verarbeitung & Qualität. • Service für Sie: vor, während und nach dem Kauf. TRIXES Blue Silicone Self Cleaning Anti Stick Toilet Brush Compact Under-Rim Long Handle Bathroom Cleaning Aid. This high performance free standing toilet brush is made with good quality silicone with non-stick properties. IKEA HEJAREN. and all have years of experience - But have decided to now bring this all together and form a joint venture. Discover Au Bain de Marie, high quality ironware for bathroom and toilet. For bathroom, kitchen or toilet. High quality iron ware. Made of iron or aluminium. If there's a problem, just let us know and we will fix it. 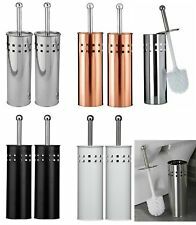 Harbour Housewares ceramic toilet brush and holder bathroom hygiene set. 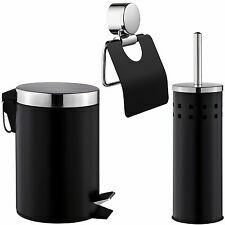 Bathroom ceramic toilet brush & holder in black finish. An essential item for every household toilet and bathroom. 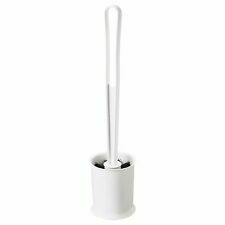 The Harbour Housewares ceramic Toilet brush is both fashionable and functional! (QUALY Design: "Cacbrush the toilet brush" - Kaktus als Toilettenbürste. 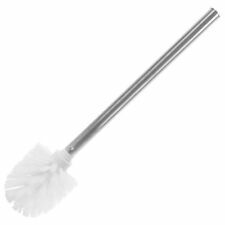 fortan sauber und läßt Sie ab sofort heiter die Toilette schrubben ;-) Kein Klo dieser Welt ist fortan vor dem cacbrush Kaktus sicher. Pumice Shapes to Curved Surfaces. 100% Natural Pumice, Even Safe on Porcelain. Remove Stain on BBQ Grills Easily. Length-4" Width-3 3/4" High-1 1/2". Free Standing Toilet Brush. and Toilet Roll Holder. complete with toilet brush with white handle. Colour: White.